Heading to DC soon? Looking to save some extra cash on parking? DCparking.org is here to give you a complete rundown on all the Washington DC hotels that offer free parking. You’ll be surprised at how many do! Assuming you are visiting our Nations Capital to view the National Mall and take part in some tourist sight seeing, here are the top hotels with free parking closest to the National Mall. HotelsNearDCMetro.com: This site is a great resource for not only free hotel parking in DC, but also Arlington and the surrounding area. They state that the Channel Inn is the only hotel in DC with free parking, but offer other hotels that are close by metro stops, so you can easily access the city while not paying for parking. TripAdvisor: You can’t go wrong with a good ol’ TripAdvisors post. This one lists 6 Washington DC hotel locations with free parking. Similar to HotelsNearDCMetro.com, but added user reviews and ratings always leave a nice personal touch. VacationsMadeEasy.com: Not the best looking site, but it looks like this is one of the best resources to search for hotels in DC with free parking. At first glance there are not many in the metro area, but that seems to be a consistent theme. Looking to avoid that worry of parking altogether? SpotHero makes it easy to find affordable DC hotel parking, all across the city. You can save up to 50% off over night parking, and feel at ease with your decision. Browse their DC Hotel Parking Options, to see if they have what you are looking for. Looking for Verizon Center Parking Deals? You came to the right place! Searching for Washington Dulles Airport Parking? Serving more than 22 million passengers each year, Dulles International Airport is the busiest airport in the Washington Metropolitan region. Up to 60,000 passengers can pass through the terminals on any average day, which can make for quite the chaotic scene. Imagine how hectic the parking garage gets with those crowds rushing around vying for a good spot. Our guide to Dulles IAD Airport parking will help you find the best parking space at or near the airport, regardless of your needs. Nothing is worse than trying to make your flight, being pinched for time, and fighting to find a parking space. Read on for more information about Dulles airport parking rates, long-term options, maps, and deals so that you can worry about where you’re flying, and not where you’re going to park. Explore cheap parking options on the map below and use SpotHero to reserve a guaranteed space ahead of time. If you have longer term parking needs at Dulles International Airport, the Economy Parking Lot is your best option. Located close to the airport, just at Dulles Access Road and Route 28 airport exits, this option is fast and easy to access. There is a 24 hour shuttle that will transport you to the airport terminal in a matter of minute. There are shuttle stops in each of the parking areas. If you’re in a great hurry or if you just feel like getting the VIP treatment, Dulles International Airport offers Valet Parking. Not only can you save time, but you can also take advantage of extra amenities, such as dry cleaning, auto detailing, and car wash. As soon as your return flight arrives, send a text and they will get your car ready. The Dulles FlexPark program is perfect for those who have an ongoing need for parking at Dulles International Airport. This membership program provides an access card for easy entry and exit. All payments and account maintenance are conveniently processed through an online system. Discover more about the FlexPark program here. For your short-term parking needs, Dulles provides the Hourly Parking Lot, which is perfect for those moments when you just need to drop someone off, pick someone up, or just need to park for a few days. There is no time limit, but there are other more economical options if you plan to park for a longer period of time. If you plan to park for longer than 45 days, you must contact the parking office to register or else they will tow your car as abandoned, at your expense. You can easily find your way to the terminal from the Hourly Parking Lot through the underground pedestrian walkway. More economical options for parking at Dulles International Airport are in the Garages 1 & 2. This covered parking is very near to the terminals and allows you easy access to the terminals through covered pedestrian walkways. There is also a free 24 hour shuttle service. The following apps were developed to help you save time and reduce stress in locating and securing Dulles International Airport Parking. SpotHero –This app is available for both iPhone and Android. Washington Airport Pro Dulles –This app is available only for iPhone. FlySmart – This app is available for iPhone, Android, and Blackberry. Park, Stay, and Fly is a neat package bundle offered at many hotels that allows you to stay the night at the hotel and leave your car parked there while you go on your trip. They also offer complimentary shuttle to and from the airport. This can be a very economical option and it’s quite convenient when you don’t have to fuss over parking the day of your flight. The following hotels offer parking and shuttle for Dulles International Airport. No trip to our nation’s capital is complete without exploring the National Mall and other great sites. Although be forewarned, finding parking here can become a very complex task. Parking anywhere in DC is at a premium and in very high demand. In areas like the National Mall, parking becomes quite scarce, due to the crowds of tourists it draws. While there is limited free parking on the streets, it’s typically limited to just a few hours. Plus, you’ll have to navigate through the confusing streets signs and make sense of inane parking regulations. So, you really had your heart set on touring this great national site and wonder what to do? You can relax, because we’ve laid out numerous options for you! If you’re not from the DC area, driving here can be quite scary. Between one way streets, confusing signs and aggressive drivers, finding parking can turn into a major ordeal. What’s one to do when they want to visit and explore the great Smithsonian Institution of Washington, DC? Not to worry SpotHero has you covered. This quick and easy guide will help show you the way to Smithsonian parking. With 19 museums, 9 research facilities and the National Zoo, the Smithsonian is quite the hot tourist attraction, drawing in millions of visitors each year from across the globe. As if the DC streets weren’t congested enough, this just adds to the insanely high demand for parking. All is not lost, SpotHero offers great rates and discounts on parking at dozens of options near the Smithsonian Institution. You can even find parking for as low as $5, so long as you don’t mind walking a little bit to get to your destination, or you can pay more and have just a few steps to take. 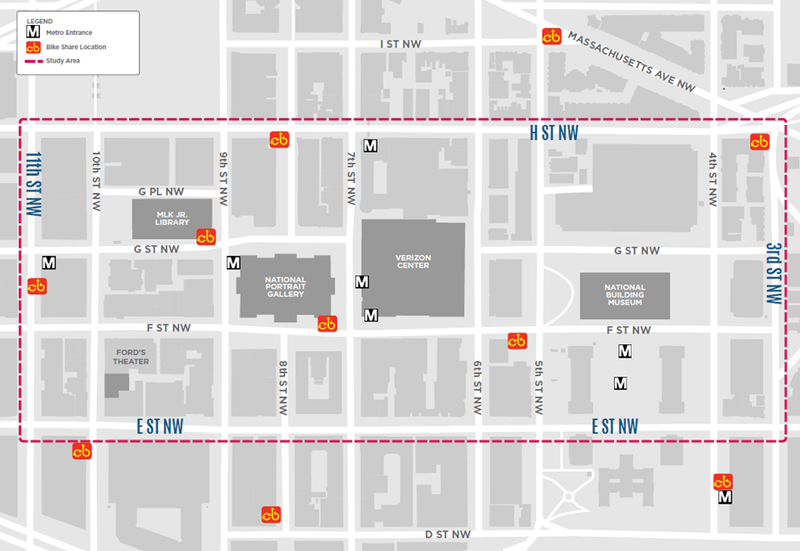 Check out the map below to see some of our hottest spots or view our Smithsonian Parking Page to get a detailed list of options. Not quite the information you see? Abundant resources are available for parking near the Smithsonian Institution and museums in Washington, DC. Check out the links below and you are sure to find the answers you need. The best way to avoid having to fight a parking ticket in Washington is to avoid one all together. Apparently, you can pay around $3,000 to be parking ticket free for a year. This only makes sense if you receive more than $3,000 worth of parking tickets. If this is consistent, I think it’s safe to say you have a problem 🙂 That said, it does feel great knowing you can park anywhere and don’t have to pay attention to the myriad of parking signs and regulations. Washington D.C. collected more revenue from parking tickets than any other city in America. With almost $100 million collected, it’s no reason you’d want to try to research before attempting street parking in DC so you can avoid them. Here’s a good discussion on TripAdvisor about tickets in DC that you can follow. DC parking tickets range from $25 to $100 depending on the offense. Here is a great article which had some great information on Washington DC parking tickets. Part of avoiding the dreaded slips of paper, are knowing the areas where to avoid. In the District’s 2nd Ward, almost a third of the total number of tickets written (over 500,000 of them) were written. This is right in the area near the Georgetown University campus. In a distant 2nd place, the next most ticketed area is in the 6th Ward near the Congressional Cemetery and Lincoln Park. Watch out for ticketing during the National Cherry Blossom Festival. This is high season for tourists and one of the most ticketed times of the year. Don’t park past the time period in zoned metered parking areas. A lot of these areas allow 1 or two hour parking, but don’t have a permit and park beyond that and boom a parking ticket appears. Watch for signs that overlap or contradict. – The most common ticket issued in Washington is for an expired meter. Just because it says you can park from 7am to 7pm does not mean you’re in the clear! Be mindful of every sign that you see because there could be a sign that also has rush hour restrictions between 7am and 9am. What does this mean? It means you get a ticket if you park! You can also check out DC Parking tips. Don’t be afraid to fight D.C parking tickets. Provide the right evidence and contesting by mail is truly a great option. According to the Washington Department of Motor Vehicles, if you don’t pay your parking ticket within 30 days, then the fine doubles!! Yes, you read that correctly, the fine actually doubles. There are four different ways to pay your parking tickets in the District of Columbia. Online – You can go online and pay your parking tickets through this link. By Phone – Call the following phone number 866-893-502 and follow the instructions on the phone. By Mail – When you pay by mail cash is not accepted. Only checks and money orders. These must be made payable to “DC Treasurer” and include your parking ticket number. This must be mailed to: DMV Adjudication Services, PO Box 2014, Washington, DC 20013. In Person – Paying in person is the most flexible in terms of what they accept as payment. All major credit cards are accepted except for American Express. Cash is accepted as well along with checks and money orders. That said, checks are not accepted for towed and booted vehicles. Make sure you are prepared for the proper form of payment. Who’d like to make the trek there twice? The most parking will cost you on the street is $2 and hour which is in the so called “premium demand zones”. Outside those zones, the cost is 75 cents an hour. That said, Washington D.C is one of the toughest places to find parking in the country. There are other options including DC parking garages and lots. The hours of enforcement have been extended to 10pm. Is street parking FREE in Washington DC on Sundays? Yes, this is true. You can park on the street for free ALL DAY. The signs on the street can be confusing so if you are unsure, the DDOT offers a number you can use to call for assistance and clarification. DDOT Line: 202-671-2700. DDOT (District Department of Transportation) – This is a great resource and list of all the DDOT parking programs. Not just cars, but for bicycles too, (among many other resources, pay by phone, parking meters, etc.). District Street Parking Enforcement Updates – This details the rate increase to a maximum of $2 and hour (that’s only if you don’t get a parking ticket) along with extended enforcement hours for metered zones. Previously, parking wasn’t enforced on Saturdays or on nights Monday through Friday. About.com DC Parking – This is About’s list os helpful links and guide including maps of Washington DC parking information.